James Franklin’s answer ran 1 minute and 27 seconds long. The eight-word question was simple, and the answer complex. 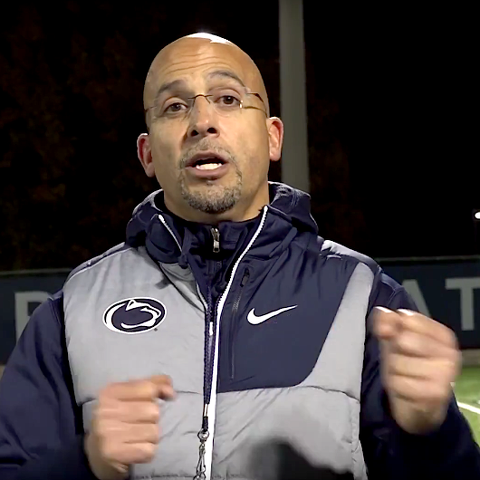 And the reply of the Penn State’s 16th head football coach incorporated a phrase frequently favored by the 14th head football coach. “James, is there a key to complementary football?” I asked him early Wednesday evening, after the team’s practice in the dark and cold of a November that has chilled Happy Valley, on and off the football field. Franklin’s reply was both straightforward and telling, insightful and honest. “Obviously, that’s what it’s all about,” replied Franklin. “It’s about offense, defense and special teams all kind of having a big picture plan of how we have to do it. Still, Franklin’s Penn State squad is 6-3 heading into Saturday’s noon game against Wisconsin (also 6-3, having lost two its last four games) in Beaver Stadium. And his program has a stellar 37-9 (.804) record since it was trounced in Ann Arbor in 2016. But...but, the Nittany Lions have uncharacteristically lost three of their last five games, including a much more recent 42-7 trouncing in The Big House. (Just last week, oin fact.) Those two Har-baugh-rible losses — by a combined 91-17 margin — could potentially be remembered as the bookends of an amazing era of Penn State football. A win over a bruised and badgered Bucky would keep the storybook going, to a degree. CJF’s PSU RPO offense has hit a snag. His punter, once among the nation’s best, is a bit spotty with his foot and hands. And his special teams are often anything but. In its totality, since the final six minutes of the Ohio State game on Sept. 29, Penn State’s offense, defense and special team units are out of snyc. Not complementary, and garnering few compliments. Out of whack? Yes. It’s been 40 daze and nights since Urban and the Buckeyes Whited Out the Nittany Lions’ 16-consecutive game home winning streak. That line won her an Oscar. Right now, Franklin needs his offensive line — a veteran group that, among its top six, has been at Penn State for a combined 22 years and has a robust total of 128 starts — to simply play a better supporting role. The RPO doesn’t seem to be made for holding onto fourth-quarter leads, for keeping a pretty darn good PSU defense off the field, for playing good ‘ole Big Ten, hey-it’s-cold-outside smash-mouth football in the final stanza — when games are won and lost by big men and a series of small, successful plays. On Wednesday, Franklin shared as much. There have been problems. Winning, he has said adroitly over the past 25 months, is a powerful and effective deodorant. Now, it’s time to Axe up. “I think a lot is stuff we already talked about,” Franklin said about getting his team to play well in all three phrases at the same time, in the same game, against quality opposition. The offense, with Joe Moorhead running The Show, got plenty of compliments. But lately, in a five-game stretch where the opposition has a 32-13 record in 2018 (and 28-8 sans Indiana), it’s gotten a little smelly. “That was a big concern of mine when we went to this offense,” Franklin revealed on Wednesday night, “that there were some challenges built into that because in the old offense we did enough of everything that it was helpful for both our offense and our defense. Part of the challenge to which Franklin alluded is that the Nittany Lion defense spends the toughest part of the Big Ten schedule playing brutish teams that don’t operate anywhere near the RPO spread run by the Penn State offense. So, when Penn State’s No. 1 D goes against its No. 1 O, they are speaking different dialects. Which doesn’t help come game time. Scout teams can help, but they don’t have the size, speed or savvy to approximate a starting Wisconsin offensive line that averages 6-foot-6 and 318.4 pounds, has 176 career starts and run blocks 65% of the time. It’s a different brand of football. To be Franklin with you, it’s a type of football that has exposed the Nittany Lions’ Achilles heel and has been exacerbated by Trace McSorley bad knee, which amazingly hasn’t buckled despite carrying the collective weight of the team on his shoulders. The RPO is not good for running out the clock or for pounding the crap of the other guy’s line. That can be compounded in a year like this when the Nittany Lions’ interior defensive line doesn’t have a Still, an Odrick, a DaQuan or an AJ — let alone a Salt & Pepper or a Reid & Smear. Football games are still won — and lost — in the trenches. Especially this time of year. On Saturday, it will be cold inside Beaver Stadium. A high of only 35 degrees is expected. 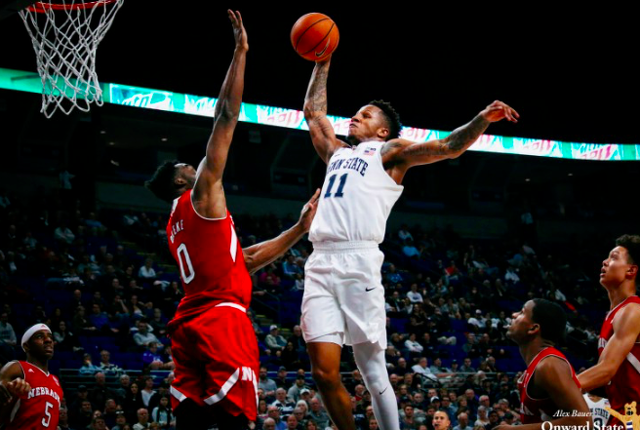 Can the Nittany Lions — who have averaged just 22.6 points over the past five games — regain their heat? Maybe...if they get their whack back. Lamar Stevens had always known that Tony Carr, his longtime friend, teammate and confidant, was leaving. Carr never told him outright, but conversations throughout the course of Penn State's 2017-18 season did more than enough to put the writing on the wall. It may have been unspoken, but it was understood.